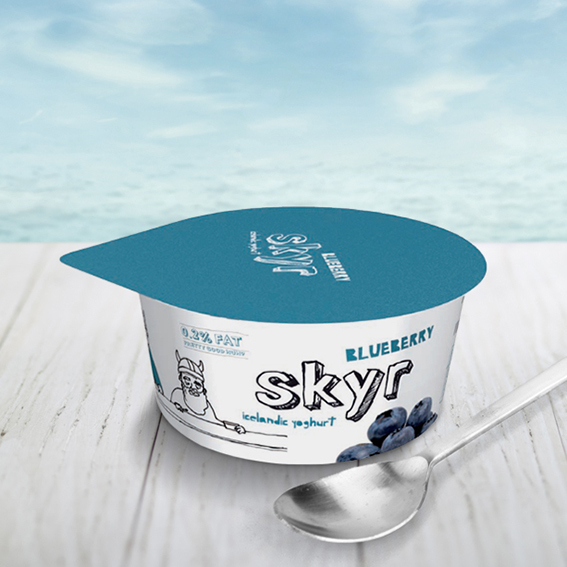 Skyr. 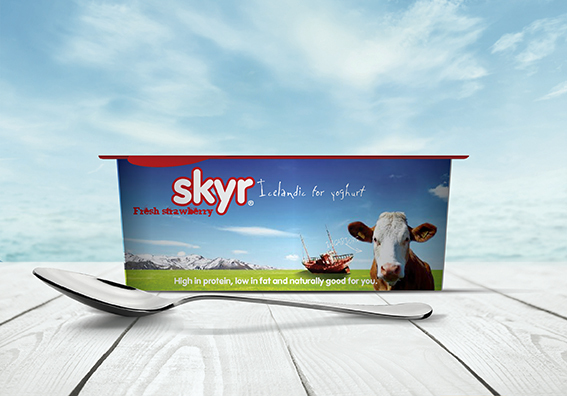 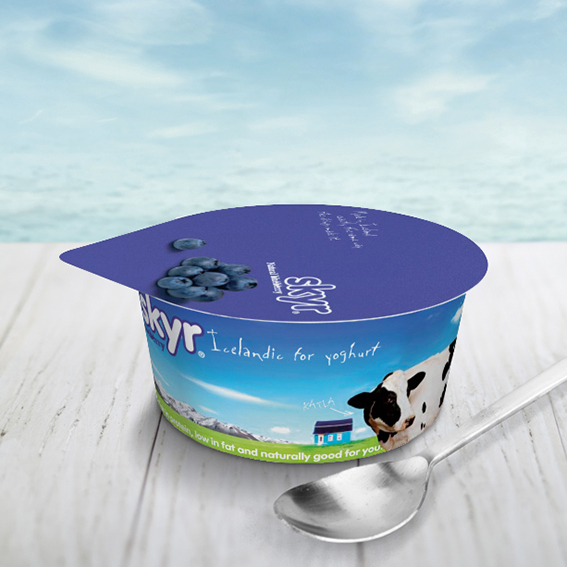 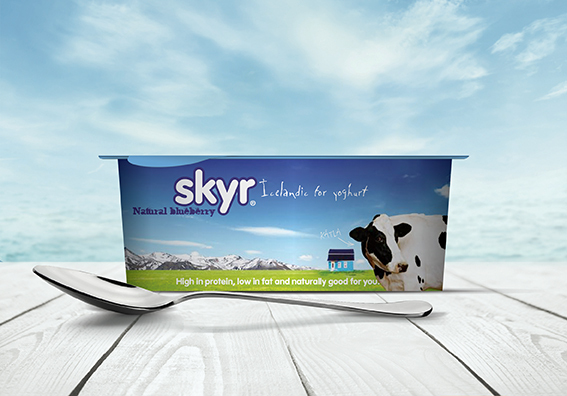 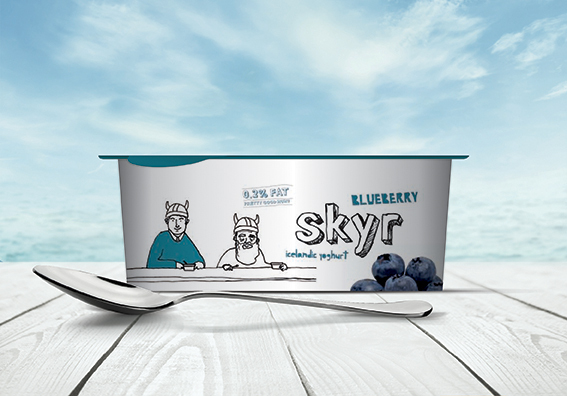 The UK launch of the traditional Icelandic dairy food, Skyr, which in true Icelandic style sits in the yoghurt section of the cold counter, but isn’t yoghurt, it’s Skyr. 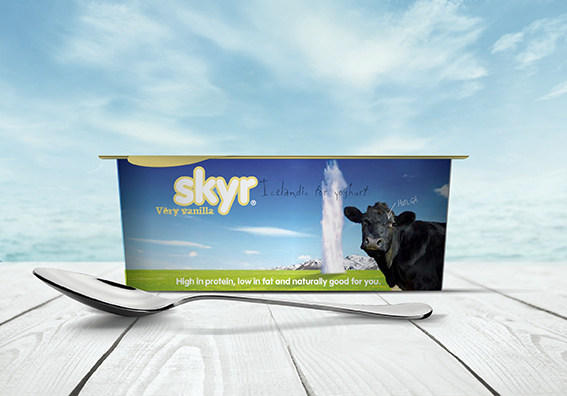 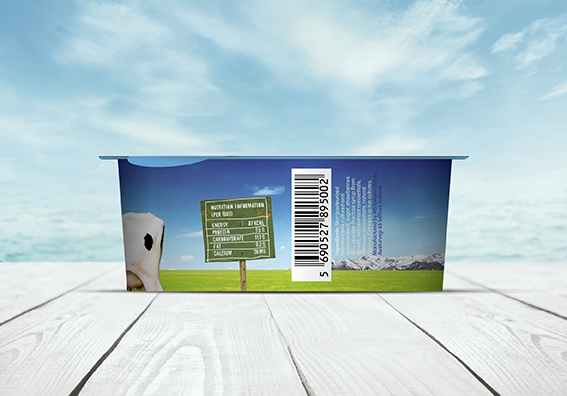 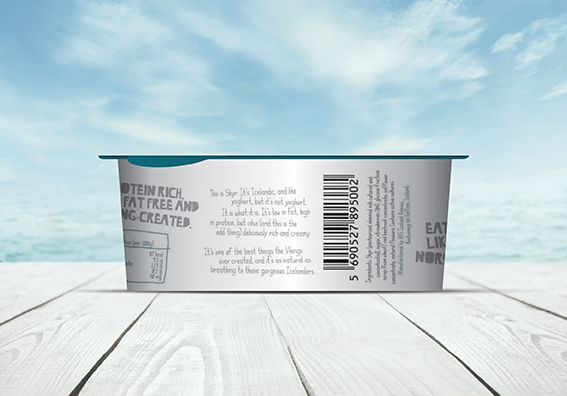 The brand and packaging celebrate all that is wonderful and weird about Iceland… and cows.